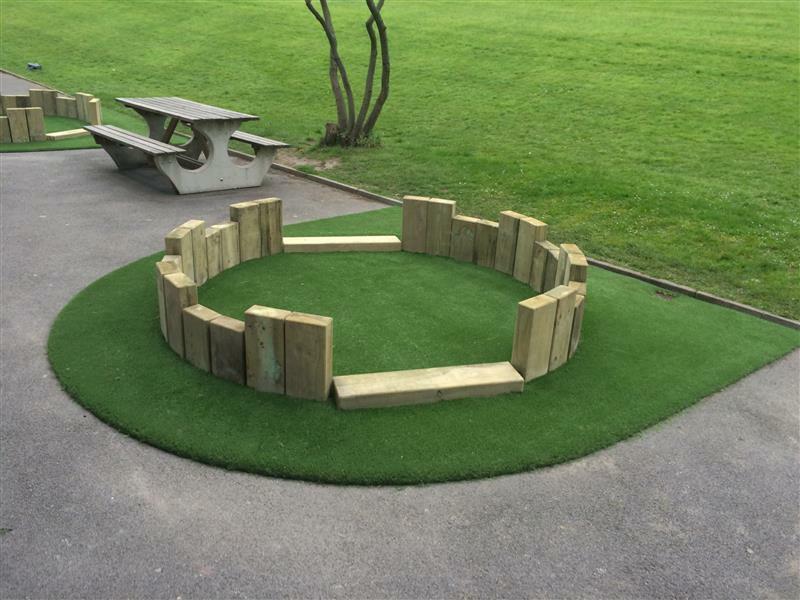 Our Small Seating Circle is a lovely addition to any outdoor learning environment, children can gather together to read or enjoy each others company; developing communication and language skills. The attractive design, with its castellations, will be a focal point in any outdoor setting. 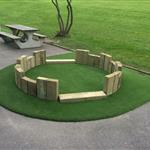 This creative playground seating design will develop children's self-confidence, PSED, understanding of the world and a love of literacy. Without the constraints of a classroom, children's personalities will come to life in our Small Seating Circle.